Mateo is one of the co-founders of the Movement Generation Justice & Ecology Project. He was born and grew up in La Paz, Bolivia. Since moving to the San Francisco Bay Area, he has worked in the labor, environmental justice and international solidarity movements. Mateo is the son of Barbara, and fortunate father of Maya and Nilo. He is also a member of the Latin rock band Los Nadies. 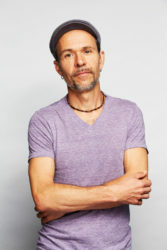 Mateo is national co-chair of the Climate Justice Alliance’s Steering Committee.